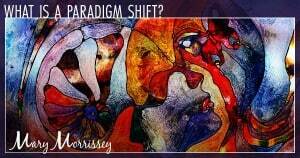 What is a paradigm shift and how does it affects your life? 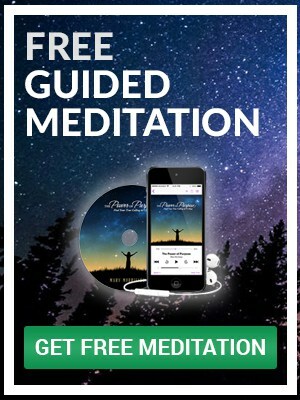 Plus 3 proven steps to shift a paradigm so that you can create a freer, fuller and more expansive life! If you aren’t living a life you absolutely love, it’s simply because your current thought paradigms aren’t serving you. In fact, most people’s paradigms cause them to procrastinate about the very things that will help them create a life they’d truly love living. So what is a paradigm then? How can we define paradigms in a way that’s helpful to understanding them? When applied to your own life, you can think of a paradigm as a collection of thought patterns that produce habits, that produce results… that may or may not be in harmony with what you would really love. We all have paradigms in each area of our lives, paradigms that we inherited early in life from our parents, teachers and the culture we grew up in. These paradigms dictate how we think about money, relationships, career, health and so on. Paradigms aren’t inherently good or bad. They’re either expansive – serving you and creating growth in an area of your life, or contractive – creating subconscious blocks and challenges. Some of your paradigms are likely working great for you, while others may be keeping you stuck. And if you want to know what your paradigms are producing in your life, all you have to do is look at your current results – because your results are a perfect mirror for the paradigms that you think from and live by. If you have a dream for your life but that dream is not happening for you, the great news is that you can change your paradigms to better service and manifest your dream. This is called a paradigm shift, and all it requires is shifting your perspective. Before you build a house, you need a blueprint for it – a pattern or plan for how the house will turn out. 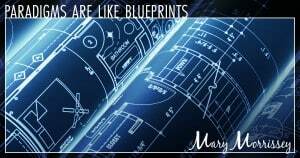 Paradigms are like blueprints, or plans, for specific results in your life. If you want to change something about the house you’re building, you change the blueprints first. The same goes for shifting your paradigms to generate different results in your life! Creating a paradigm shift is simply an awareness issue. Once you recognize that you have a paradigm in place, you have the power to change it. You have paradigms in place in all areas of your life… maybe without even knowing it. Here are some examples of common contractive paradigms that may help you identify where your own paradigms are holding you back in life. When it comes to your relationship to money, for example, you may have been patterned to think that it is wrong to love money, or that wanting more money somehow makes you unspiritual and greedy. This is a very common but inaccurate paradigm that actually keeps many people from experiencing greater abundance in their lives! And in terms of your time freedom, perhaps you struggle with how to prioritize tasks, because your current paradigm has you believing that your calendar must be full of obligations before it is full of activities you love in order to be productive and successful. You may not have ever realized it, but your relationship to your calendar reflects powerful paradigms you have in place about how your spend your time! When it comes to health and wellbeing, many people adopt the paradigm that so long as their physical health is robust – that they get annual physicals, exercise and eat well – that they’re in optimal health. But did you know that know that realizing and living into your purpose in life is one of the biggest factors in your overall wellbeing, and can actually increase your lifespan significantly? Perhaps you were raised to believe that “relationships are just hard,” so you consistently find yourself in difficult relationships. Or maybe you think that forgiveness and letting to of resentment mean pardoning someone for hurting you, when in reality, you never have to see a person again to forgive them. Reflect on your personal relationships for a moment. Are there patterns you see in your friendships or romantic partnerships? If so, you likely have paradigms in place that are subconsciously at work. One of the most common reasons why we procrastinate on our dreams is that our current paradigms like to keep us comfortable where we are. Our paradigms can tell us that the vocations we feel called to are irrational or too big to achieve, when in reality we can accomplish nearly anything we desire with the right blueprints for our dreams. It’s also common to believe that we have to sacrifice financial stability when pursuing a vocation that we’d truly love. This paradigm can keep us in a job or field that isn’t truly fulfilling for us. We all have paradigms in place that generate results in our life that we may, or may not, be in love with. An impact moment is like an “aHa!” moment, where you recognize a contractive paradigm that you have in place. Identifying an impact moment is a powerful step because it involves looking at a result you have in your life that you’re unhappy with and taking responsibility for it. In order to break a pattern, you have to actually replace it with a new one. So once you’ve identified a paradigm that isn’t serving your greater good, you have to adopt a new one. This can involve journaling, saying mantras, listening to meditations, attending personal development events, and so on. The key is to immerse yourself in this new thought pattern. In order to implement a new paradigm long term, repetition is key. Just like a new habit often takes 90 days to stick, thought patterns take time to become second nature and to generate the results you desire. So whatever your immersion techniques are, keep doing them. Eventually you’ll have an entirely new system of paradigms and work in your life, and your results will reflect them! 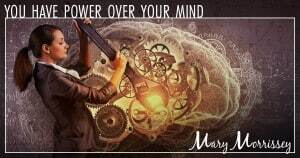 Paradigms are within your power! Remember, you are far more powerful than any circumstance, situation or conditions you will ever find yourself in . You can’t always control what happens in your life, but you can always control how you choose to respond. And by becoming aware of your paradigms, and ensuring you have expansive and empowering ones in place, you’ll be truly astounded by how quickly you’re able to shift your thoughts and create extraordinary results in your life that you’re absolutely in love with! And now, here’s my FREE gift for you! Do you long for more in life, but you’re not quite sure what it is that you would most like to be, do, have or give in this life? Or do you have a clear sense of your greatest dreams but are looking to accelerate your results? 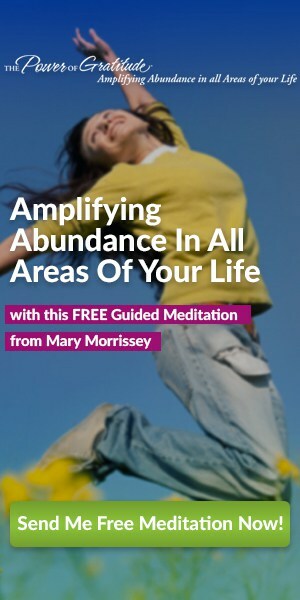 If so, my free, upcoming DreamBuilder® Workshop is for you!